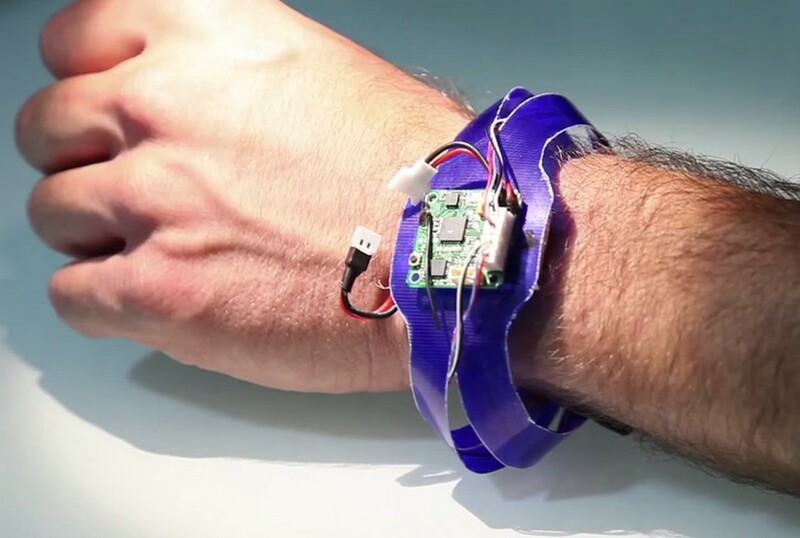 Researchers have designed a new drone that can wrap around your wrist. After wearables, including Google Glass, an individual can also wrap around a drone that can unfold itself and becomes a quad copter. It is yet another step in the research and development of the drones. Drone has been named as Nixie and was lead under the supervision of Dr. Christoph Kohstall, a physics researcher at Stanford University, along with Jelena Jovanovic and Michael Niedermayr. The team of researchers took it to the Intel’s annual Make It Wearable competition, where it was awarded a prize of $50,000. We have never seen something like that until now, and the prototype of this drone includes a camera that is capable of taking selfies. The developers are building this innovative drone on Intel Edison, a prototyping platform, and are expected to release a final version of it in the coming months. Since it is still in development, there is no point on commenting about its weight, camera quality or even the flight altitude and battery life. Nixie is an advanced drone that senses your motion; you can make a particular gesture to make it fly. It will know where you are and will go around you to take a picture and will come back. There are all types of drones, small, big and gigantic, available in the market. However, none sits on the wrist and wraps around itself. They all have camera with them but are unable to click pictures on their own. Nixie can be a replacement for the GoPro Hero cameras if researchers can equip it with an advanced wide-angle high-quality camera.